I'm not normally one for throwing makeup away - if I buy a product I tend to use it to the bitter end, or sell it or give it away if it just doesn't work for me. The one exception to that is mascara. 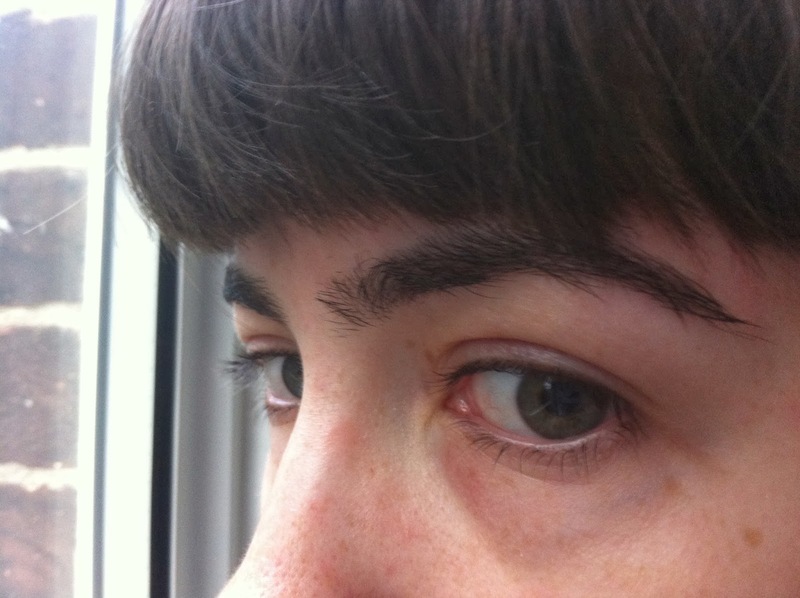 Because I wear contact lenses, I'm incredibly paranoid about getting eye infections, and so I slavishly stick to that old 'chuck your mascara every six months' rule. However, there are some times when I feel a bit sad about having to throw away a product, and that's definitely happened this time with Urban Decay's Supercurl Mascara (probably not helped by the fact it was a Christmas present - I'm really bad about getting rid of anything I was given as a gift). Described as a long-lasting, lengthening, curl-defining and conditioning mascara, Supercurl comes in a gunmetal tube with swirling lines which I can only assume are supposed to look like your lashes once you've applied it, though personally they remind me more of vines. 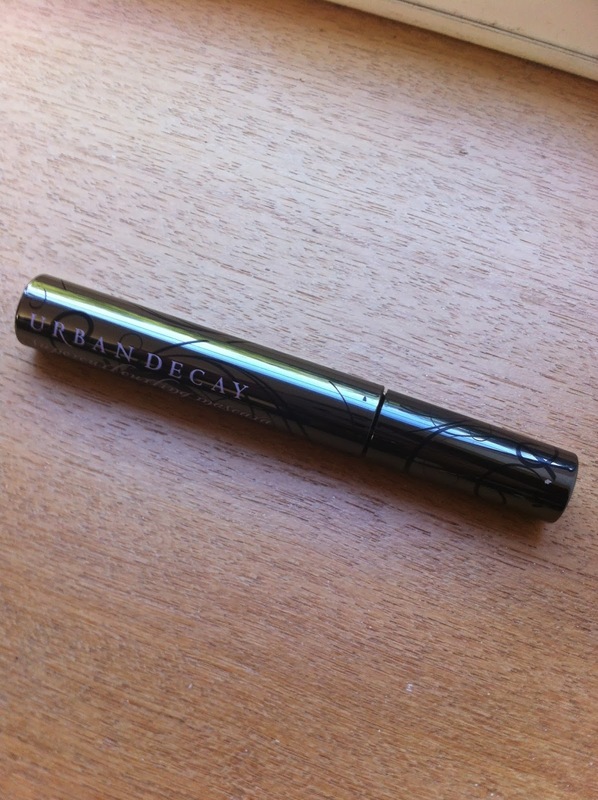 Urban Decay's packaging is one of the main things I love about the brand, and this is a typical example in that it marries beautiful girly details with a slightly edgy, rock-chick vibe. The packaging is also pretty solid but some of the lines have become a little damaged after a few holidays and weekends away where I just chucked it in my handbag, so if you like your products to stay pristine even with a bit of manhandling this might not be the best for you. As you can see the mascara has a spoon brush applicator which is slightly curved to help with shaping your lashes when you apply it. The brush is a great size and shape as it reaches all my lashes, making application a lot less faffy. Consistency-wise it looks a bit thick on the brush but don't let that put you off - with a couple of thin coats it isn't too heavy. 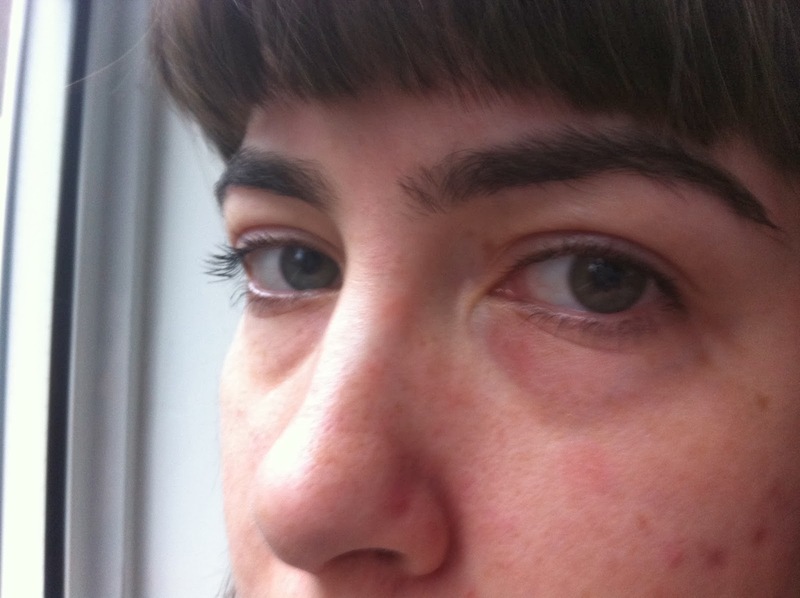 First of all apologies for my horrible under-eye bags and spots - I was having a no-make-up day when I took these and my skin is a bit rubbish at the moment. 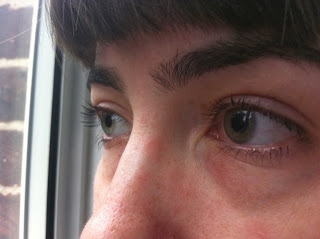 Here you can see the mascara with one and two coats, and my bare lashes. I normally do one coat by combing the brush through in a zig-zag motion and then a second by just going straight up from the roots, but looking at these I actually think they look better with just the one coat. I'm lucky as I have quite long and curly lashes to start with, but when I use this they get a great boost, especially in terms of volume. I've never worn false eyelashes but the way my lashes look almost hyper-realistic makes me feel like with this stuff I wouldn't need to! I also often find I don't need to wear eyeliner with it (not that I wear eyeliner much anyway because I can't do it precisely to save my life) because it makes the lashes look a lot thicker and more luxurious on its own, but when I do wear eyeliner it definitely works for added drama. The only downside is I don't think it made my lashes much curlier, but it might be more noticeable if your lashes aren't naturally curly. The durability? Seriously impressive! 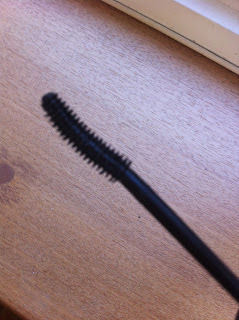 I have a bit of a bad habit of not taking my make-up off when I come home tired after a long day at work or a late night in the pub - which I know is really naughty - and this stuff has still been on my lashes the next morning. However, I found it removed very easily with my normal hot cloth cleansing method (cream cleanser applied to dry skin and then removed with a flannel soaked in hot water). So if you want a product that will last, then this is highly recommended! It also doesn't flake off or smudge during the day when I wear it, and the tube lasts for ages - I've worn this every day for the last six months and am still nowhere near finishing it, but have now had to chuck it as it was starting to smell a bit funky. Overall, I really like Supercurl - it gives my lashes a nice boost of volume and enhances their natural curl, as well as easily surviving a day's wear and leaving my lashes in good condition. 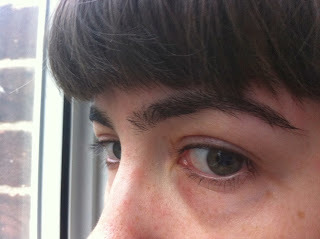 If you like your lashes with lots of volume and length then I'd definitely recommend giving it a go. Plus the packaging is beautiful, which is always a bonus! You can buy Supercurl from BeautyBay.com, House of Fraser and Debenhams, where it will set you back £15 for a 9ml tube.